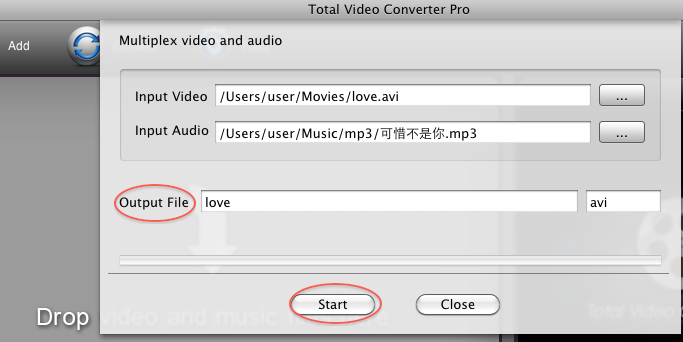 Total Video Converter for Mac is a powerful Video converter for Mac which enable you to convert your videos to any video (avi, mp4, mov, 3gp, mp3, wav, wma, iPad, iPhone, PSP) format on mac at high speed with perfect output quality. And also support multiplex different video and audio into one video. 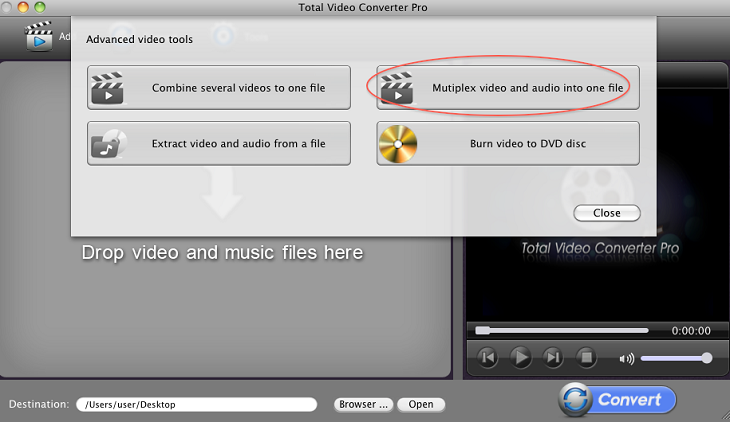 Current Page:Home > Mac Total Video Converter >How to mutiplex video and audio into one file on Mac? 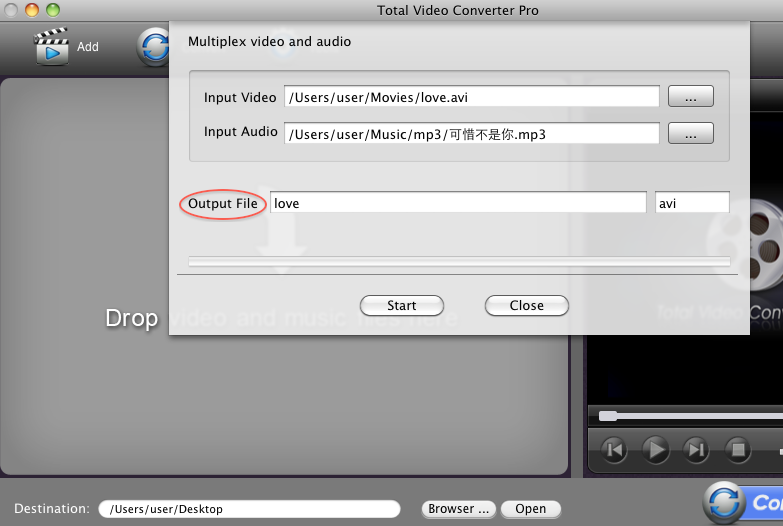 How to multiplex video and audio into one file on Mac? Do you want to change the audio in your videos to make them more nice? Or want to add some precious audios to your valuable videos? What can we do if we want to multiplex a video and audio into one file to experience the fun or to save our valuable memory? How can I do if I want to integrate the video and audio and convert them into flv for my iPad? Which applacition can I use to meet my needs? This tutorial is show you how to multiplex video and audio into one file on Mac OS X.
Click "Tools" button, you will get below UI, and select "Multiplex video and aduio into one file" tool. Click "...." button to import one video file and one audio file that you want to intergrate. Then you will see below with detailed information of " Input Video","Input Audio", "Output File". The last step, click the "Start" button to mutiplex the video and audio into one file. A few minutes later, the destination folder will open automatically when the conversion is completed.